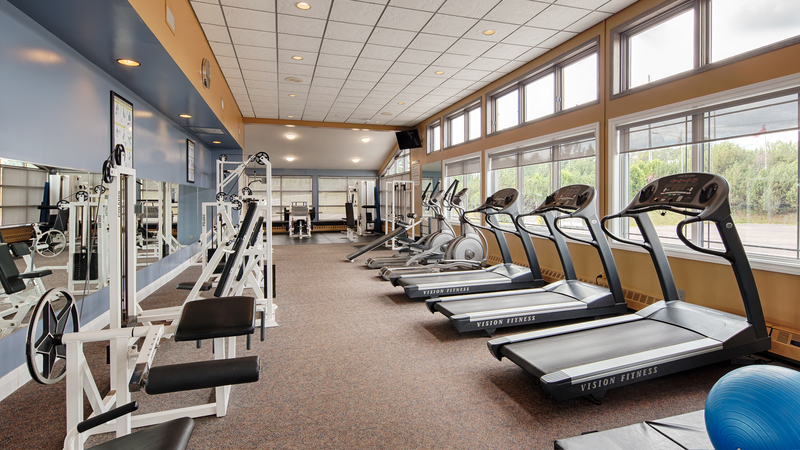 Our Health & Fitness Centre offers a large fitness centre and indoor pool that is always kept between 76-84 degrees. A public whirlpool, and sauna are there for your enjoyment. Our Gym is the largest gym you will find at any hotel in Northwestern Ontario. 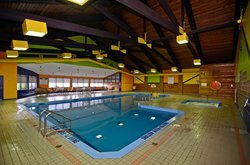 In addition we also offer Private Steam & Sauna rooms available at a fee and must be reserved in advance. We offer two fantastic areas that have many membership options that you can choose from. Enjoy an afternoon of family fun or go for a morning swim. Our indoor swimming pool is perfect for doing some laps or making a splash. 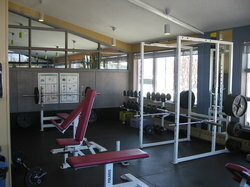 Take advantage of our free weight area to keep up with your workout regimen.